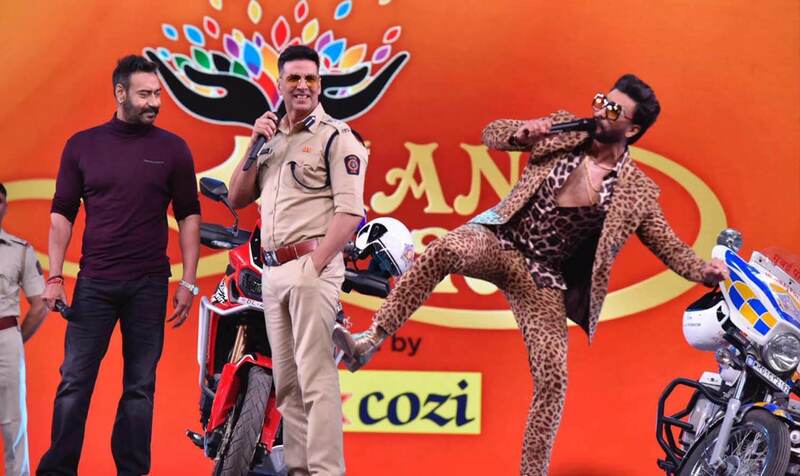 Every year Bollywood celebrities come together for the Mumbai Police’s ethnic festival and each year the stars treat the policemen with the stupefying performances and make the mood jubilant with their on-stage presence. This year also it was a night full of splendour, dance, comedy and entertainment. The Bollywood A-listers like Shah Rukh Khan, Katrina Kaif, Ranbir Kapoor, Alia Bhatt, Sara Ali Khan, Anil Kapoor, Janhvi Kapoor, Vicky Kaushal, Parineeti Chopra, Ranveer Singh, Akshay Kumar, Ayushmann Khurrana, Kartik Aaryan along with many others set the stage on vigour. While Sara Ali Khan performed on the song Aankh Maare, Shah Rukh Khan was seen in his usual enigmatic avatar. On the other hand, Ranbir Kapoor and Alia Bhatt were seen sharing the stage and their chemistry in the photos, can simply not be overlooked. The Gully Boy actress even performed with SRK. Also, another actress who makes many hearts bounce the beat was Katrina Kaif. She looked like an archangel in red and it was unmanageable to take eyes off her. The occasion was a complete blast and Bollywood celebrities took full care of it. Paid to be a trend inspector investigating ideas of a perfect closet by peeking into celebrity lifestyle, but getting to be a memory keeper of Bollywood mysteries is a serendipitous perk! A Tiff Between Kangana And Alia?